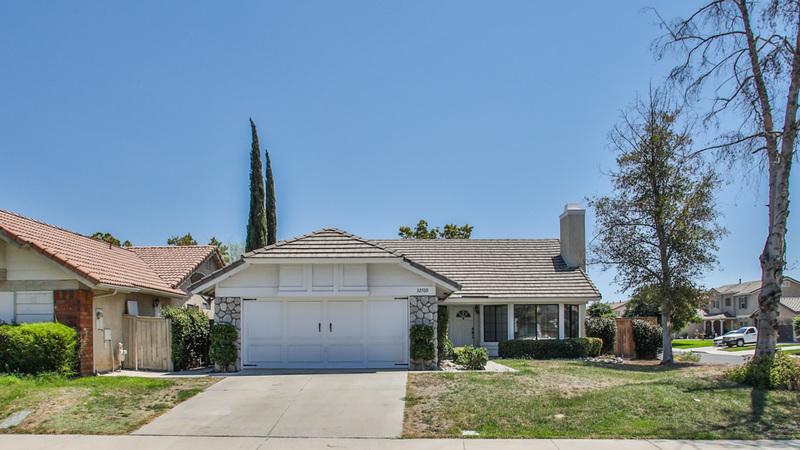 Great single story corner lot home UNDER $325k with 3 bedrooms and 2 bathrooms with low maintenance yard. 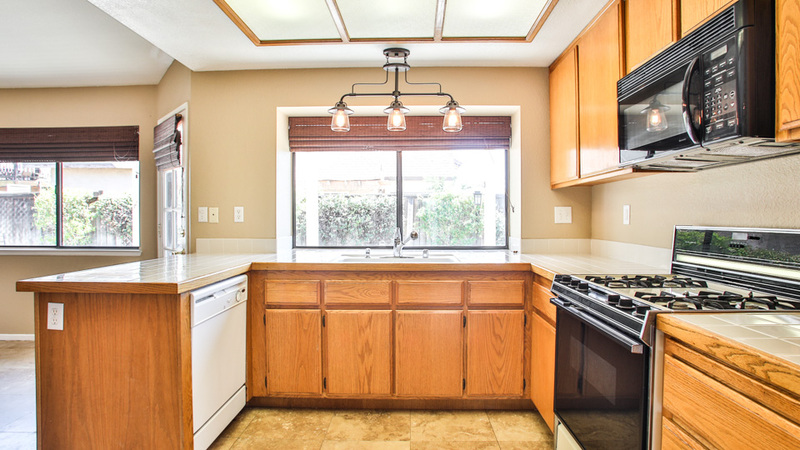 Step into this lovely home with tiled entryway and vaulted ceilings. The living room has cozy bay windows and beautiful wood mantle fireplace with wrought iron detail and tiled hearth. Half moon window above bay windows in the dining room make this space warm and inviting and is conveniently located just off the kitchen. The beautiful neutral tile in the entryway flows through to the family room, eating area and kitchen. 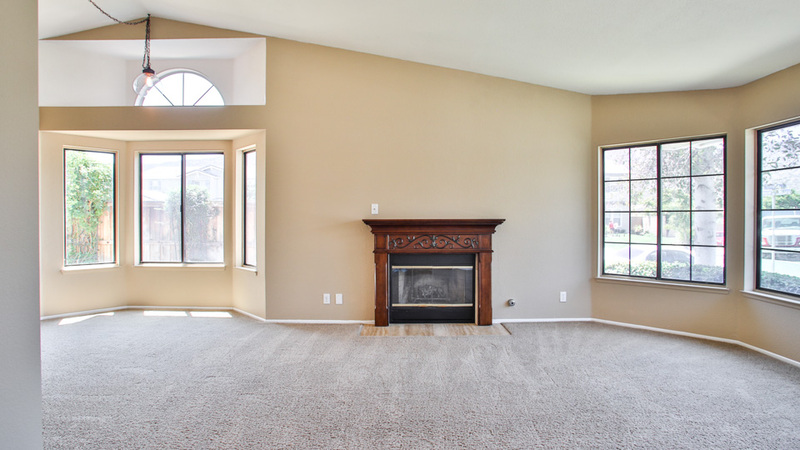 The family room is spacious and open to the kitchen, perfect off entertaining. With features like a built in microwave and vent, pantry and views of the backyard from the sink, the kitchen is an enjoyable space to work in. The master bedroom is large with vaulted ceilings, direct access to the backyard and master bathroom featuring dual sinks, tiled flooring, step in shower and huge closet. the remaining 2 bedrooms are also spacious with large closets and vaulted ceilings and share a bathroom with tile floors and shower and tub combo. The backyard is low maintenance with river rock planter lining the back fence and large patio area with pergola to provide some shade. 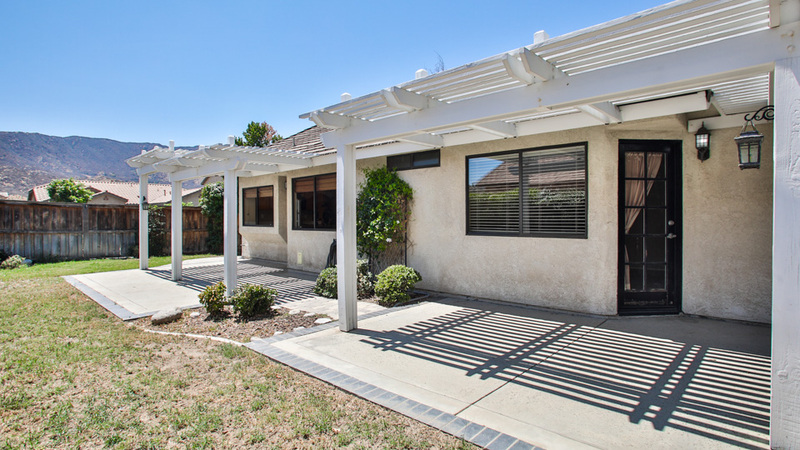 This home is located close to parks, schools, a short drive to the lake and 15 frwy. access.